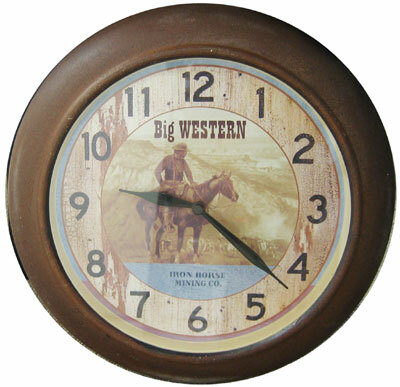 Here's the perfect way to keep Western while keeping time. This clock features a quartz movement and is approximately one foot in diameter. The clock requires one AA battery (not included) to operate.